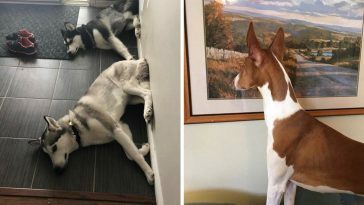 Dogs are known to be happy and energetic creatures, even when facing problems. 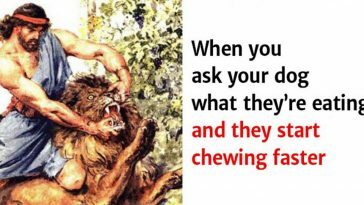 This is true especially in the case of Zep, a 10-year-old dog. He’s a very goofy and funny dog, even if his health has always been at risk. 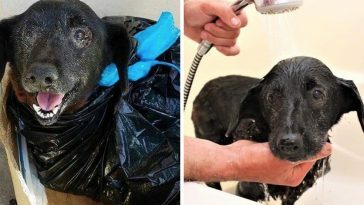 Zep was diagnosed with cancer when he was only 3 years old. 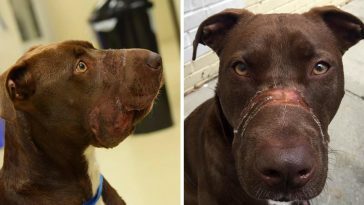 He has recovered from the disease but he’s been suffering from other ailments ever since. 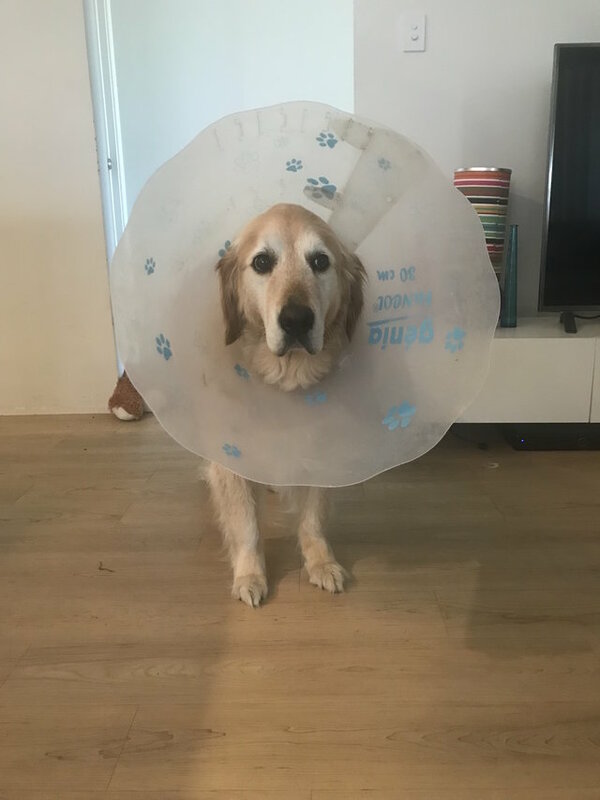 Cancer impaired his immune system, so he frequently gets dog dermatitis and consequently needs to wear the cone of shame more than he’d like to. 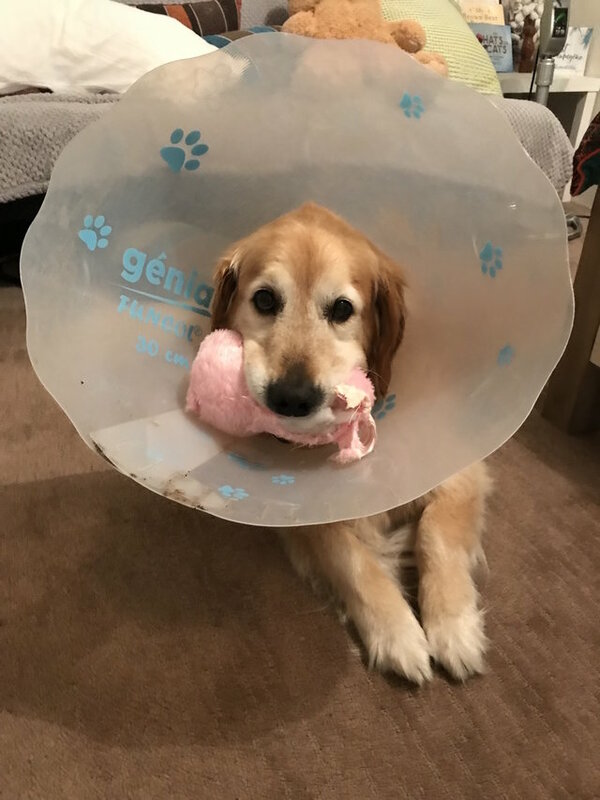 Although it’s not exactly comfortable for Zep to walk around with a cone around his neck, he’s now gotten used to it, and his mom, Amber Gerick, had a great idea to make him feel a little better in that situation. 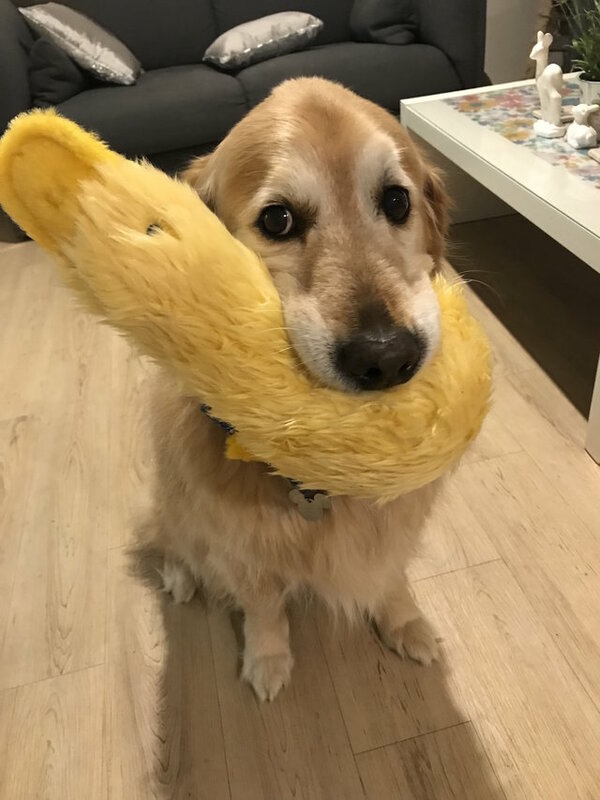 He’s quite fond of toys, and his favorite one is Quackity the duck. 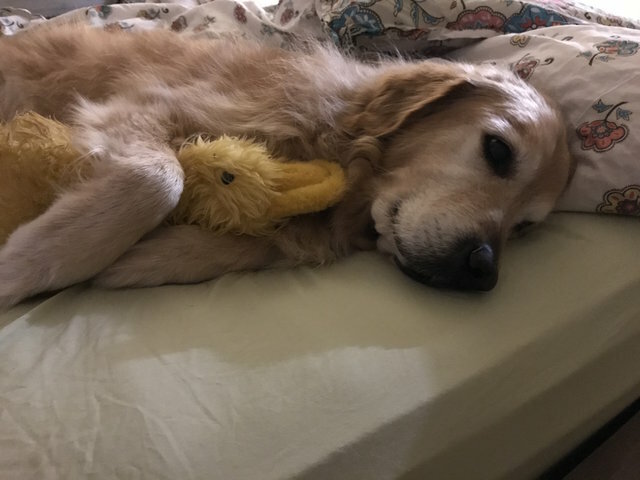 He plays with Quackity a lot, and even sleeps with it. His toys seem to calm him a lot, so Gerick bought the plushie version of Dug, the dog from UP, in Disney World. 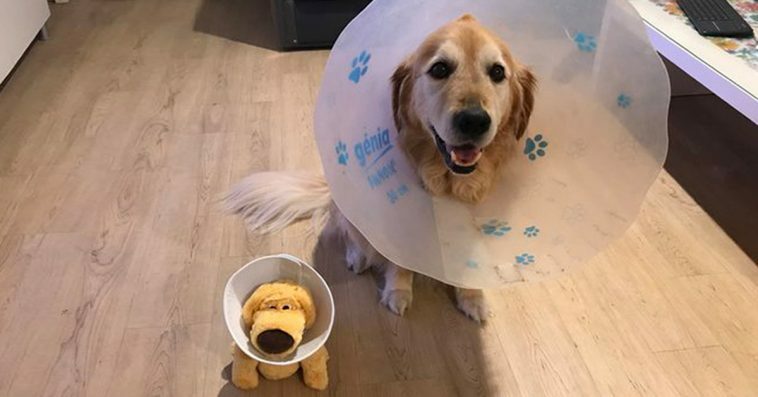 The cute thing is that Dug wears a cone of shame, just like him. 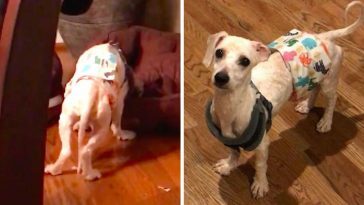 They look like twins now and this makes Zep feel a little less alone in his predicament. 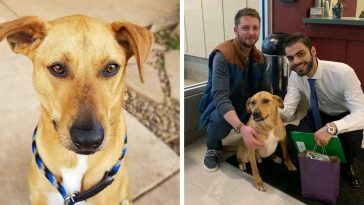 Zep is a lively and happy dog, even if he has been struggling with health issues since he was a little pup. At 3 years old, he was diagnosed with cancer. He recovered, but it impaired his immune system. 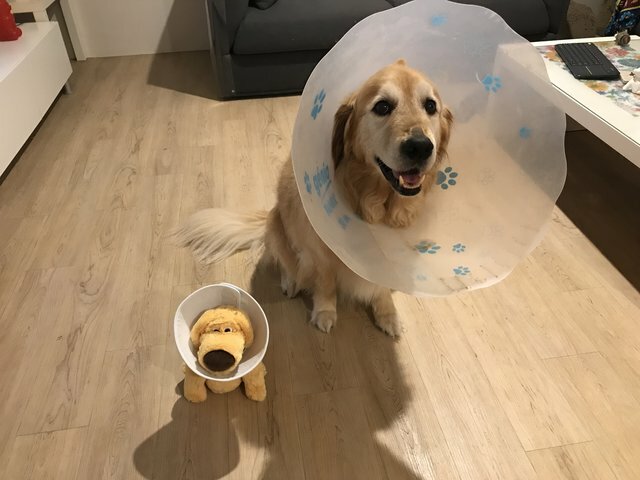 Since he frequently gets sick, he has to wear the cone of shame more than he’d like to. Zep is very fond of his duck toy named Quackity. 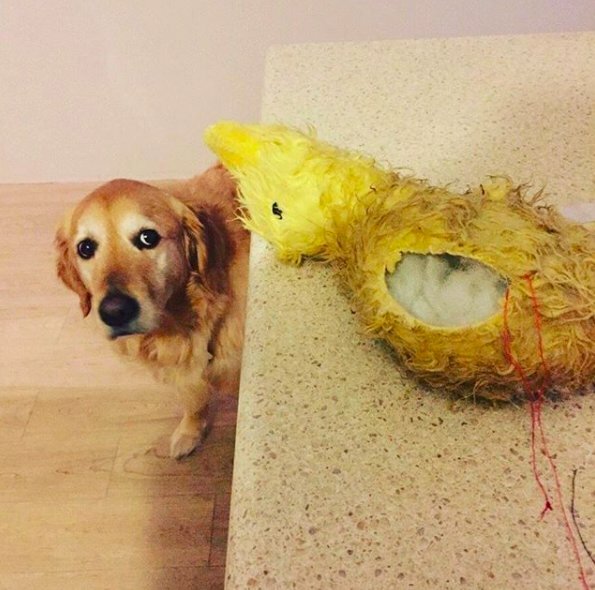 He likes hanging out with Quackity and even sleeps with it. Since Zep likes toys so much, Amber Gerick, his mom, bought the stuffed toy version of Dug, the dog from UP. Dug wears a cone of shame like him, and they look like twins, and Zep definitely feels a little less alone in his predicament.